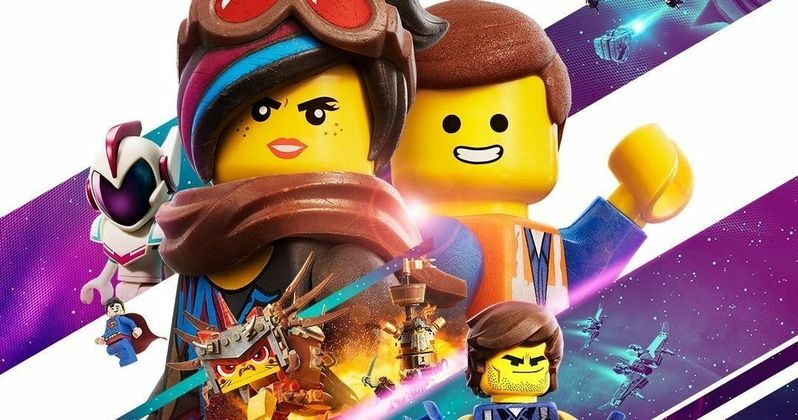 The release of The LEGO Movie 2: The Second Part is just around the corner, but those who are feeling particularly eager to have everything be awesome once again will have the chance to do so a full two weeks early. Warner Bros. has announced special advanced screenings of the highly-anticipated sequel this weekend at theaters all across the U.S. Additionally, a new TV spot for the movie has surfaced online, which previews one of the biggest cameos coming our way. Starting with the screenings, the studio is set to screen The LEGO movie 2 on approximately 500 screens on Saturday, January 26. This is something that Warner Bros. has had success with very recently. They also held similar advanced screenings for Aquaman ahead of its scheduled release for Amazon Prime members. Ultimately, that helped to build some solid buzz and bring in some early cash. Early screenings such as these have actually become increasingly common for big blockbusters that studios have confidence in. This is part of a weeklong celebration dubbed Awesome Week, which will also include movie-themed activities and activations. Specifics about those other activities haven't been revealed at this time. As for the TV spot, we recently learned that Supreme Court Justice Ruth Bader Ginsburg will be appearing in the movie, and that she'll even be getting her own LEGO minifig. This new promo actually initially debuted during the NFC Championship game over last weekend, but has now made its way online and actually showcases Ginsburg in LEGO form. The rest of the spot features mostly footage that has been glimpsed in previous trailers. Though, it does condense everything down quite nicely and gives us a solid taste of what's in store for the citizens of Bricksburg. Mike Mitchell (Trolls, Shrek Ever After) is in the director's chair this time around. Phil Lord and Chris Miller, who directed the original, are on board as producers. The cast includes Chris Pratt as Emmet, Elizabeth Banks as Lucy/Wyldstyle, Will Arnett as Batman, Alison Brie as Unikitty, Nick Offerman as MetalBeard, Charlie Day as Benny, Tiffany Haddish as Queen Watevra Wa'Nabi, Stephanie Beatriz as General Mayhem and Maya Rudolph, whose role hasn't been revealed. The Justice League will also be featured, with Jason Momoa set to voice Aquaman and Gal Gadot back as Wonder Woman. Channing Tatum and Jonah Hill reprise their roles as Superman and Green Lantern from the first movie, respectively. This has been a very successful franchise thus far. The LEGO Movie grossed $469 million globally and was something of a critical surprise. 2017's The LEGO Batman Movie followed suit, earning praise and $311 million at the box office. The LEGO Ninjago Movie was the only misstep up to this point, which only earned $123 million. Though, that may have had something to do with the fact that it came out in 2017 as well. Tickets for the advanced screenings of The LEGO Movie 2: The Second Part are on sale now. Be sure to check out the new TV spot from Warner Bros. below.